Respect the Elders. 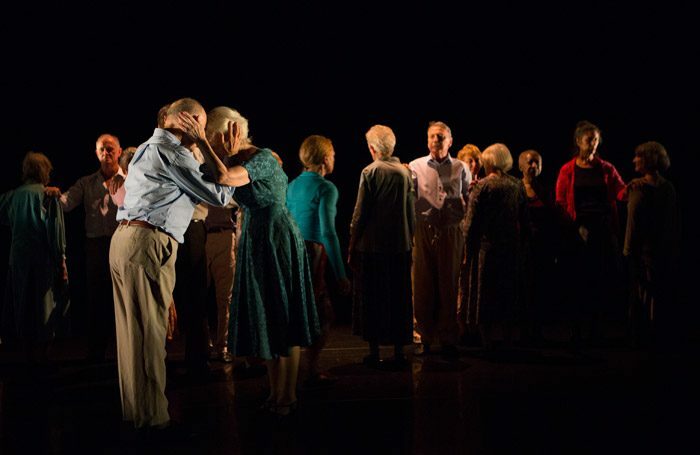 When Sadler’s Wells’ resident over-60s company of community dancers perform their latest mixed bill, they re-adjust the parameters by which we typically view movement on stage. Instead of a display of elite physicality, this is about the visibility and activity of elderly bodies (particularly female bodies – 12 out of the 17 members are women) that are so often ignored. The company allow us to look anew at why humans dance, at the fundamental joy and communicative power of moving to music. Seeta Patel’s Fragments, Not Forgotten deals in the weightiness and intangibility of memory. The company initially move as a uniform huddle, shuffling sideways across the space while a collage of voice recordings invoke recollections and remembrances of parents, palpable fears and radio silence. Soon they splinter off into smaller groups, across which there’s an effective rippling of energy. Gestural movements – a gentle hand to another’s cheek, arms imploringly outstretched – suggest a world of inner experience, of solace, solitude and reflection. A Tentative Place of Holding, by Adrienne Hart, is a bouncier affair. Dressed in bright tops, the dancers proceed through shifting configurations to John Cage’s expectant electronic score, while Antony Hateley’s lighting patterns the floor with a glowing grid. 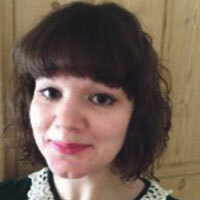 There are swirls and spins, syncopated steps, lovely balletic sweeps and a joke to end with, perfectly placed. Abyss, by Dickson Mbi, mixes hints of street-style vigour with proud flamenco stomps. Concentric patterns open and close to create an emphatic sense of community, warmth and embrace.